California Maki is one of my favorite Japanese food. It's a Japanese rice wrapped in seaweed and containing kani (crab sticks), cucumber, avocado or mango. 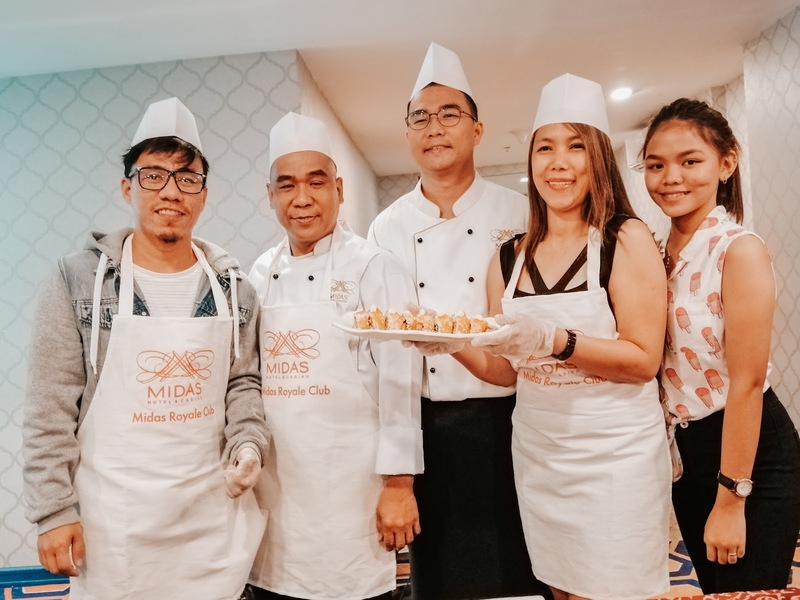 I never thought of making my own California Maki until I joined Midas Royale Club's fun activity held at the Midas Hotel. 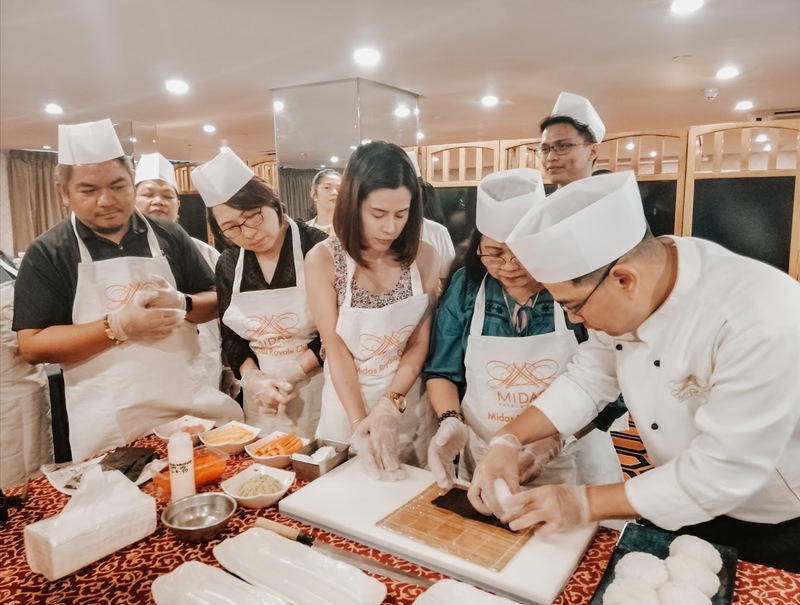 Midas Hotel gathered Midas Royale Club (MRC) members in a room to experience an interactive learning activity, a Japanese cooking class which is facilitated by Yanagi Japanese Restaurant's Head Chef Chester Lucas. I'm fortunate to be invited on this wonderful event and I found the cooking activity very interesting and exciting. Chef Lucas and his team taught us some Japanese techniques in making California Maki and Ebi Tempura. The whole session was smooth, fun and exciting. The California Maki we made was really good. With a bit of practice, this can be as good as the California Maki from my favorite restaurant. 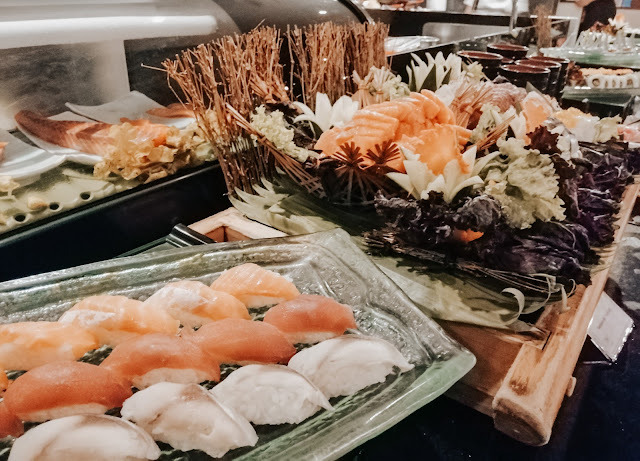 After the Japanese Cooking 101, we headed to Midas Hotel’s Yanagi Japanese Restaurant and tried their Japanese buffet. Chef Lucas joined on our table and served some of his specialty dishes. He prepared Kaki Papaya, Yanagi Salad, and Aburi Sushis. Each dish has its own unique taste. They're all mouth-watering especially the Aburi Sushis which is my top choice. The Aburi Sushis is served with 5 assorted Aburi sushi including Tuna, Salmon, Hamachi, Eel and Lapu-Lapu. 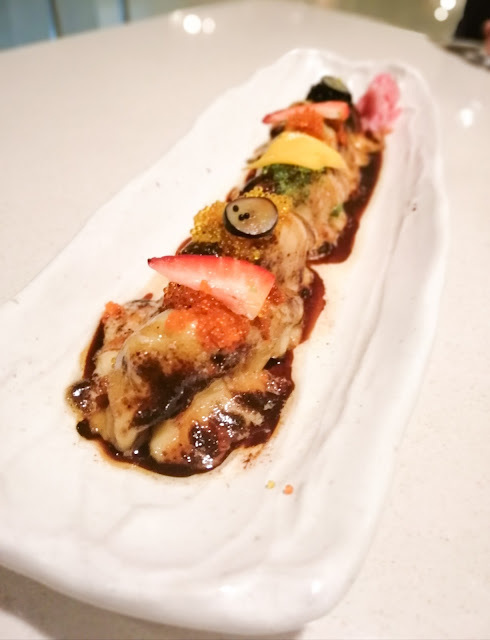 Eeach sushi is topped with aburi sauce. 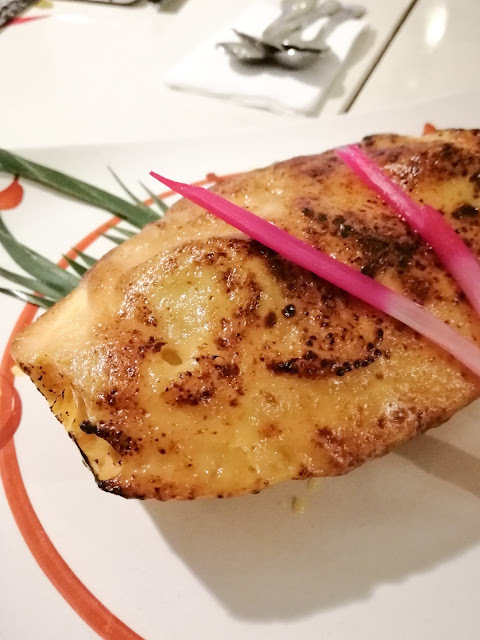 Yanagi Japanese Restaurant is located at the Mezzanine floor of Midas Hotel. 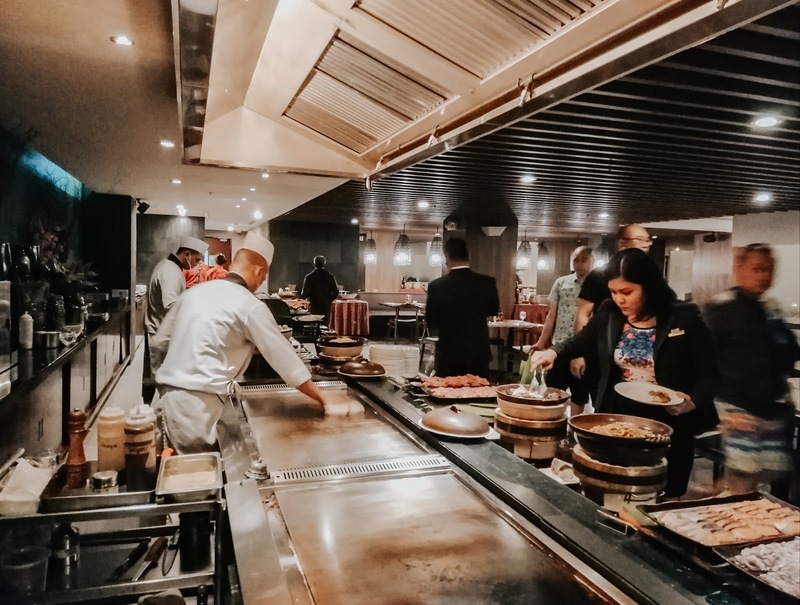 The restaurant offers wide selection of Japanese dishes including sushi, tempura, teppanyaki, sashimi, salad and a lot a more. It's open from 11:30 a.m. to 2:30 p.m. for lunch and from 6 p.m. to 10:30 p.m. for dinner. 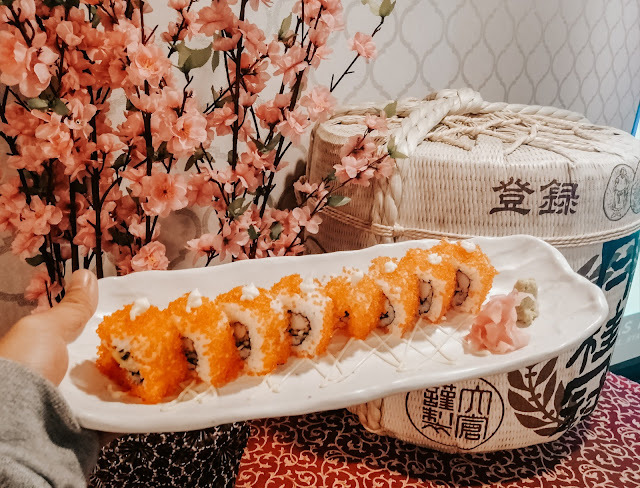 By the way, making tasty California Maki and Ebi Tempura is just one of the perks of MRC card holders. Last year, MRC members were invited to join a Baking 101 activity, where the guests learned all things about baking from Midas Hotel's Pastry Chef Rachel Cacapit-Joven. 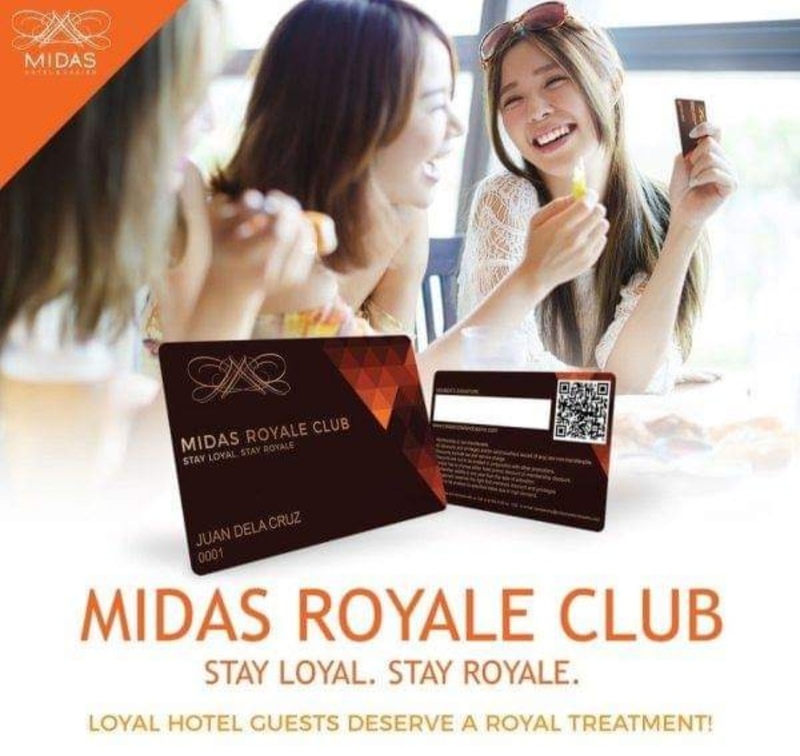 If you become a Midas Royale Club (MRC) members, you will get free accommodation, exclusive discounts, and a variety of other perks and privileges for just Php 8,000 a year. 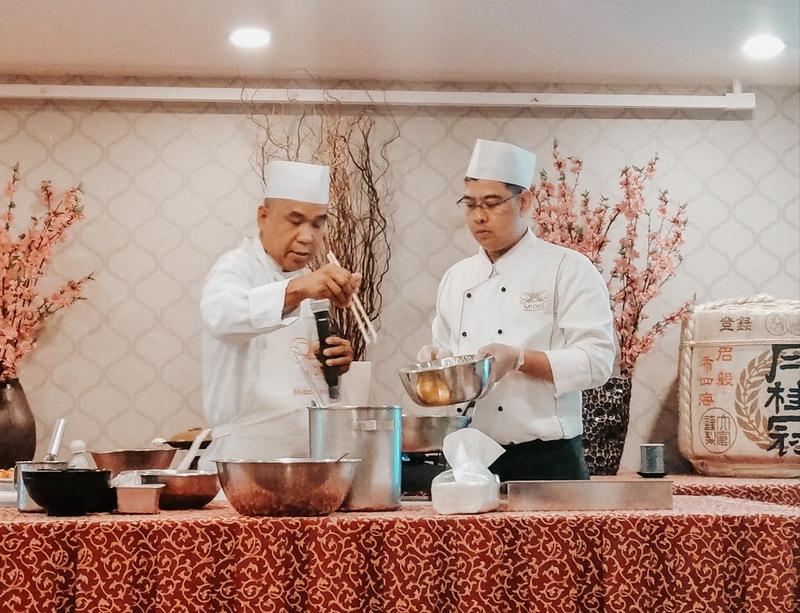 If you love staycation and food, I'm pretty sure you would love this program.Midas Hotel has already made a name for itself as an excellent food stop in the Pasay area with both its regular buffet and by being home to Yanagi Japanese Restaurant. As MRC members, you will get two overnight accommodations in two room categories, and further discounts and free upgrades on succeeding accommodations. A free buffet for two–to be availed of at any time throughout the year–is also included, as well as steady discounts in food outlets, a la carte menus, and room service. Discounts to the in-house spa and event services are also included in the program. 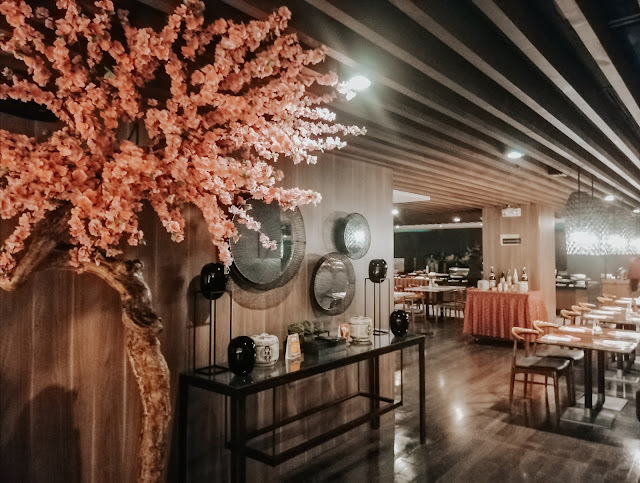 Those interested in being a member of Midas Royale Club can call (63 2) 902.0100 local 8232 or email Remalyn Ermino at remalyn.ermino@midashotelandcasino.com or membership@midashotelandcasino.com.